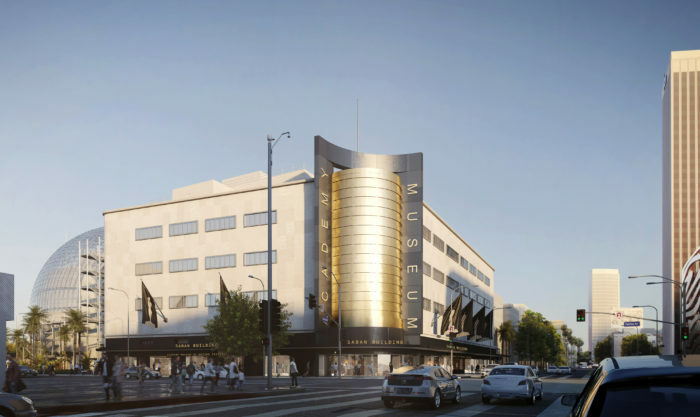 Good news for lovers of film and local history: Los Angeles is now even closer to finally being home to a world-class film museum. The Academy Museum of Motion Pictures has been in the works for years and while it’s not opening until 2019, more details were unveiled during a recent hard-hat tour on the site of what should be one of the finest museum spaces in the City of Angels. 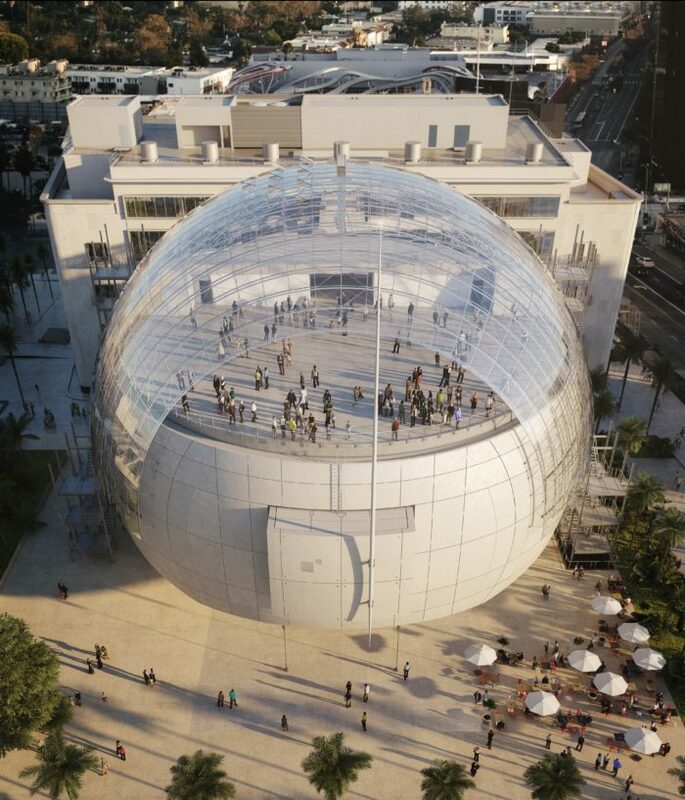 To begin with, the museum will be housed within one of L.A.’s most architecturally significant structures located in the heart of Museum Row along Wilshire Blvd. Built in 1939, the May Company Building is a prime example of Streamline Moderne architecture and is a Los Angeles Historic-Cultural Monument. The building’s beauty is being enhanced by architect Renzo Piano, who will take advantage of the existing statement-making four-story gold-tiled cylinder backed by black granite that overlooks the corner of Fairfax and Wilshire. 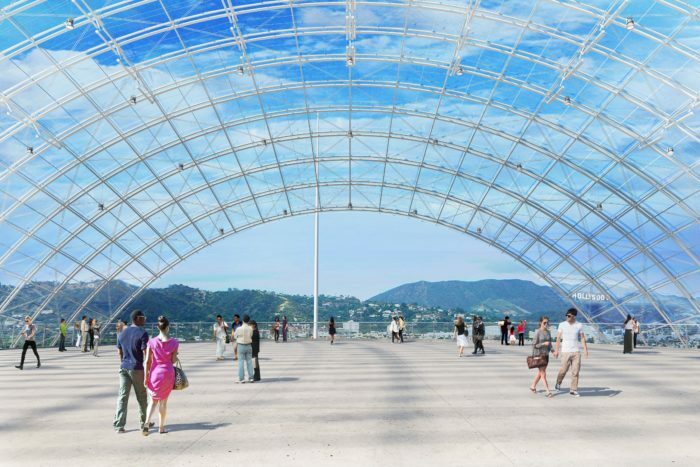 The plan is to transform the interiors and supplement the building with an additional structure: a glass and concrete structure housing a 1000-seat state-of-the-art movie theater, topped by a glass-domed terrace offering spectacular views of the Hollywood Hills and the Hollywood sign. Visitors will be able to move between the two connected buildings via glass walkways. Meant to evoke a type of dreamscape, the museum will be a film hub for L.A. and quite possibly the epicenter of the film world. A second movie theater will be located in the main building, hereafter known as the Saban Building, as thanks to local philanthropists Haim and Cheryl Saban, who recently donated $50 million to the project. The museum will encourage lingering and sociability with a restaurant and a wine bar. The Academy of Motion Pictures Arts and Science’s Margaret Herrick Library, in nearby Beverly Hills, is home to a staggering collection of over 12 million photographs, 50 thousand movie posters, thousands of scripts and personal papers of such luminaries as Alfred Hitchcock, giving the museum literally millions of items to choose from in a rotating collection of film-related memorabilia. Keep in mind the new space won’t just be about checking out historical objects. Visitors should expect an immersive experience, as a robust program of Saturday matinees, screenings, and performances will keep things lively. Selfie opportunities will abound, as one of the main features will be an area where visitors can pose while holding an Oscar. In addition, the museum will display iconic film props, including the ruby slippers from The Wizard of Oz (one of four pairs used for filming).